Thousands of demonstrators are expected to take to city streets this weekend for the Women's March on Chicago, one day after Donald Trump's inauguration. 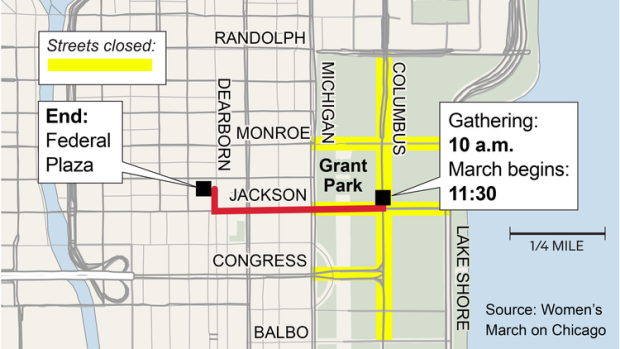 The event will likely mean street closures in downtown Chicago Saturday as the group marches from a rally site near the city's Grant Park to Federal Plaza. The Chicago gathering is among more than 150 sister marches planned around the country and the world in conjunction with the Women’s March on Washington.